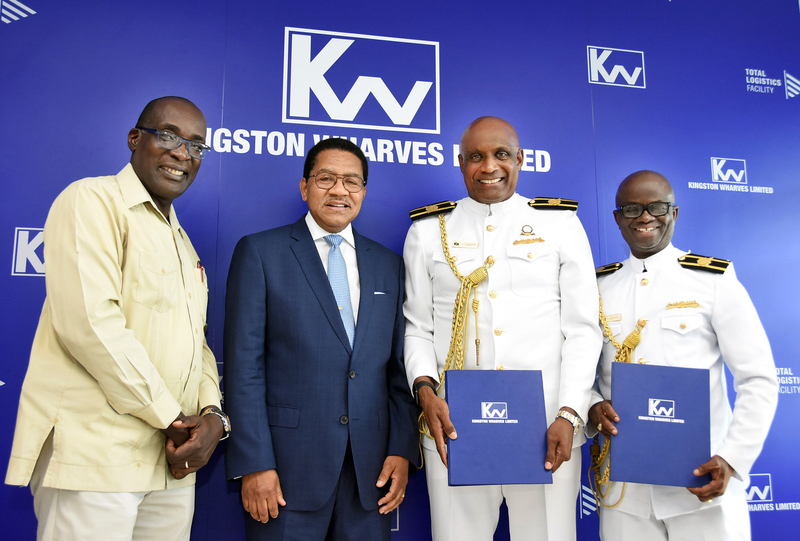 Kingston Wharves Limited (KWL) and the Caribbean Maritime University (CMU) have forged a partnership that will advance research and development in the multi-billion dollar port and logistics sector. The organisations have partnered to launch a Professorial Chair in Logistics and Port Management starting in 2019. The Chair will be held jointly by two of the foremost researchers in Logistics and Port Management in the region – CMU President Professor Fritz Pinnock and Deputy President, Professor Ibrahim Ajagunna. Chief Executive Officer of Kingston Wharves Limited Dr. Grantley Stephenson said: “Kingston Wharves is pleased to partner with CMU on this very important undertaking. 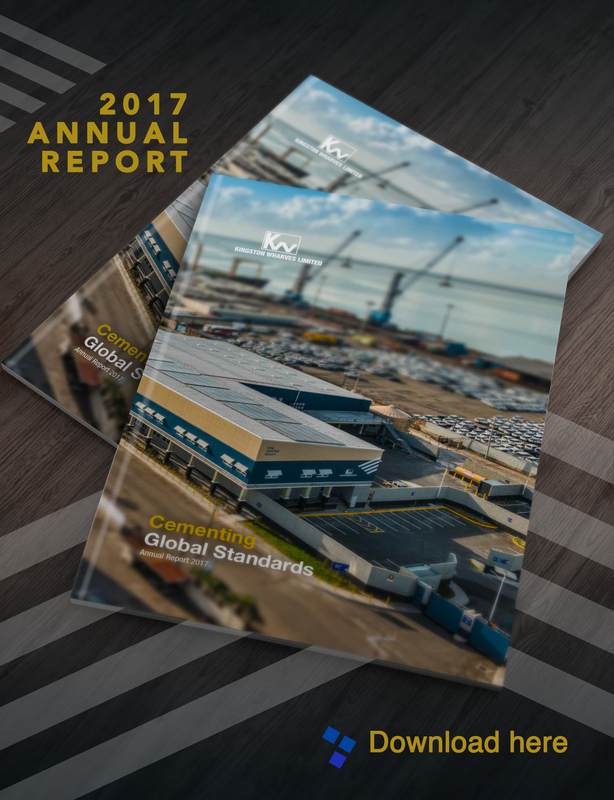 This step is in keeping with our pioneering role and deep interest in Jamaica fulfilling its potential as a logistics destination and leading in the growth of the industry regionally. “We firmly believe that any moves we make to develop Jamaica as a logistics hub, must be underpinned and guided by research and empirical data that will inform how we build,” Dr. Stephenson added, lauding the CMU and Professor Pinnock for working to deepen understanding and helping to drive exploration of the wealth of opportunities in the sector. In addition to conducting research projects, Professor Pinnock and Professor Ajagunna will lend their considerable expertise to providing strategic and leadership support for the KWL during the engagement which is scheduled to last from May 2018 to April 2021 and is open to being renewed. Professor Pinnock has written and published over 75 industry-related peer reviews and international journal articles in multiple languages including French, Spanish, German and Chinese. He holds a Doctor of Philosophy in Sustainable Cruise Tourism from the University of the West Indies, UWI, Mona. He also has an MSc. in International Shipping and Logistics from the University of Plymouth, United Kingdom and a BSc. (Hons.) in Economics and Accounting (Management Studies) from the UWI Mona. Professor Ajagunna’s industry experience spans over thirty (30) years with more than twenty-five of this in managerial positions. He is a goal-oriented individual with special skills in Tourism, Sustainable Development, Logistics and Supply Chain Management, Curriculum Development, Education Administration and Leadership, and Strategic Management. Ibrahim has over ten years’ experience in integrating operations in Logistics and Supply Chain and in port reorganization. Professor Ajagunna has served as co-consultant for the reorganisation of several ports across the Caribbean, including Barbados Port Inc., along with others in Antigua and Barbuda, The British Virgin Island and St. Vincent and the Grenadines. He is Vice President of Academics and Student Affairs and is also the Deputy to the President at the CMU, Jamaica. Professor Ajagunna holds a Doctor of Philosophy from the University of the West Indies, Jamaica; a Master of Science Degree from Sheffield Hallam University, UK; a Higher National Diploma from the Federal Polytechnic, Idah, Nigeria; a Post Graduate Diploma in Education from the University of Technology, Jamaica, and an Advanced Diploma in Teaching from the City and Guilds of London among others.